Obituary for Ida G. Rizkallah | Philip D. Rinaldi Funeral Service, P.A. 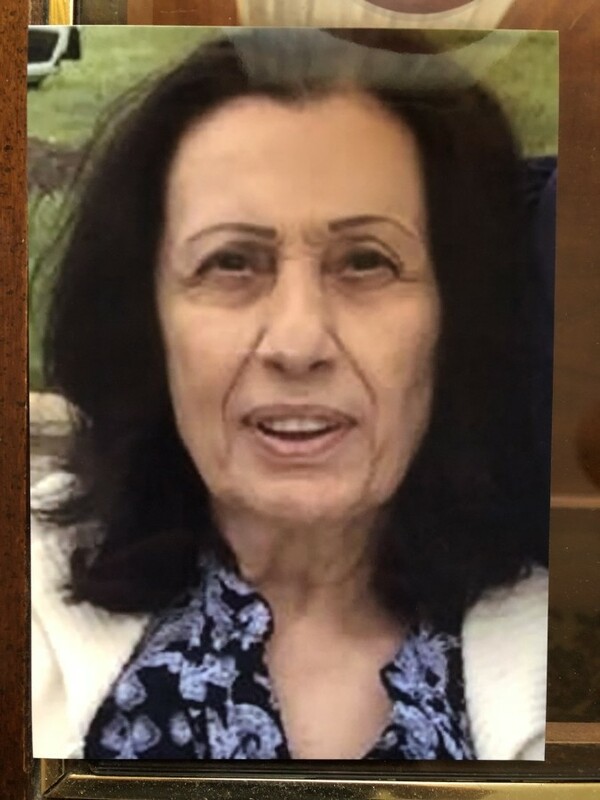 Beloved wife of Ghazi H. Rizkallah, mother of Nancy Collins (John), Joanne Gildea (Keith) and Kevin Rizkallah, sister of George Yaghnam, Rita Dalal and the late Anwar Yaghnam, grandmother of Tyler, Emily and Kaitlyn, also survived by other relatives and friends. The family will receive friends on Tuesday, July 10, 2018 from 9 am until the time of the funeral service at 10 am at Saints Constantine and Helen Greek Orthodox Church 701 Norwood Road Silver Spring, Maryland 20905. Interment Gate of Heaven Cemetery 13801 Georgia Avenue Silver Spring, MD 20906.